​What is the goal of the Three Weeks mourning for the Holy Temple? When and how will the Holy Temple be rebuilt? Will it really happen? Who needs it, anyway? What is missing from our lives without the Holy Temple? 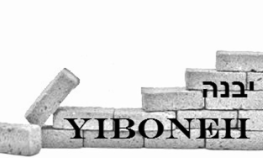 The Torah commands, “And you shall make for Me a Sanctuary, and I will dwell among them” (Ex. 25:8). For nearly 2,000 years, the Jewish people have mourned the loss of the Holy Temple. But how much does it really mean to us? How much do we really aspire to see it become a reality once again? Rabbi Chaim Richman of The Temple Institute in Jerusalem will speak about the concept of the Holy Temple and its significance in our time, for the Jewish people as well as for the entire world. He will address these questions, and much more, in a fascinating presentation dedicated to the concept of the Holy Temple—with special emphasis on what it means for this generation. ​​Chaim Richman, rabbi, scholar, author and translator, has lived in Israel since 1982. He proudly served in an IDF combat unit, as do his children. Rabbi Richman and his wife Rena live in Jerusalem. Rabbi Richman lectures extensively to both Jewish and non-Jewish audiences who are seeking a greater understanding of the teachings of Torah and the relationship of the Holy Temple with the nations of the world. His message is universal. Rabbi Richman is the most oft-quoted English-language authority on the subject of the Temple Mount and the Holy Temple, and speaks to audiences throughout the world. His work has been covered extensively by the international media. He has been featured on television and radio news programs, in documentary films, and in the print media. His photograph appeared on the cover of the New York Times Magazine on October 3, 1999. Rabbi Richman hosts a popular weekly internet radio program, “Temple Talk,” hosted by Israel National Radio, now in its 12th year. He broadcasts weekly video lessons on the internet. 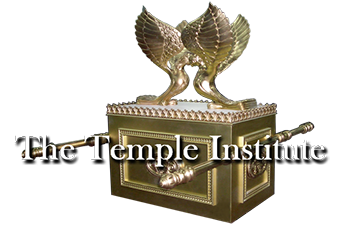 These lessons can be found on the Temple Institute’s YouTube channel, which features over 1,000 videos. These lessons have been seen by hundreds of thousands the world over.